Now that the festive season is almost upon us, it’s time to start thinking about filling stockings, giving gifts and keeping the little ones occupied over the school holidays! 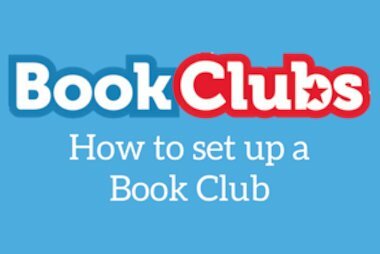 Our latest Book Club has now launched, with brand new books to delight and entertain over the Christmas season and beyond. 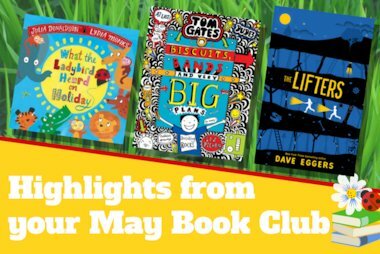 We’ve compiled a round-up of our top picks to look out for – whether you’re on the hunt for picture books, gripping novels or amazing value book packs. This cheeky Christmas story is sure to make children giggle! Written by TV duo Sam and Mark, it’s full of festive fun and lots of laughs. Perfect for any young fan of The Dinosaur That Pooped Christmas. As if that wasn’t enough, this hilarious picture book also comes with a free ‘Santa Stop Here’ door sign that they’re sure to love. Even better news is that the book is just £2.99 – amazing value and perfect as a stocking filler or fun story for Christmas Eve. Did you know that this Julia and Axel classic will be on your TV screens this Christmas? Children adore the wild antics of this classic character, created by the brilliant minds behind The Gruffalo and Room on the Broom. Read the story before watching it on telly, and then read it again afterwards! 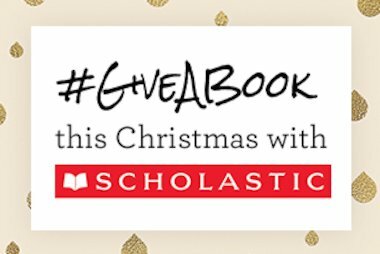 What’s more, when you buy through the Scholastic shop, you’ll receive a free activity book full of stickers, recipes, bunting and even finger puppets. Buy both together for just £2.99 – what a steal! This master storyteller is back with a lyrical wintry delight, beautifully illustrated with dramatic colour pictures. Follow a brave robin’s epic journey through dark forests, wild storms and frozen mountains. Will he get home in time for Christmas? This is a lovely book to share with newly independent readers, and its Reader format is exclusive to the Scholastic shop, available for just £3.99. Perfect for animal lovers! 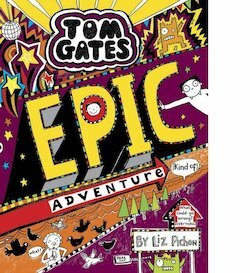 Tom Gates is back! 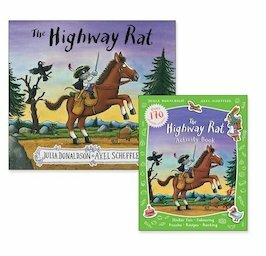 This bestselling series has won eleven top awards and is loved by children everywhere. Get up-to-date with Tom’s latest adventures in this brand new hardback, available from the Scholastic shop for £8.99. This will be the must-have book on every child’s wishlist this Christmas! Bestselling author and pop star Tom Fletcher has written his first full-length novel! 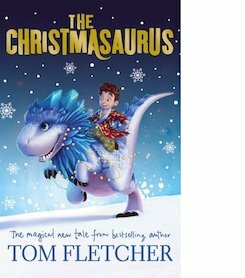 This heart-warming festive adventure is all about a boy who meets a very special dinosaur, and how they work together to save Christmas. If your little ones loved The Dinosaur That Pooped Christmas but are a bit too old for picture books now, this is the perfect book from its co-author! 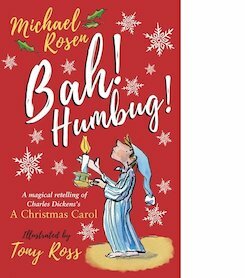 The seasonal classic A Christmas Carol receives an update from children’s fiction giants Michael Rosen and Tony Ross. Can a school play of A Christmas Carol help Harry’s dad to find the spirit of Christmas? This heart-warming tale of family and love is sure to give you that warm, fuzzy feeling. Available as an early paperback for just £4.99, Bah! Humbug! is a brilliant way to introduce children to classic novels while enjoying the festive mood. Agatha Christie’s most famous murder mystery is heading for the big screen! Why not get ahead and read the book before going to see the amazing new film? A real masterpiece of intrigue and mystery, this chilling read is sure to keep you guessing until the final pages. 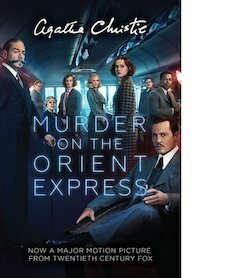 A great introduction to Agatha Christie for teens new to her books. Bah, humbug! This is the ultimate Christmas tale! You must have heard the story before – now read the book. 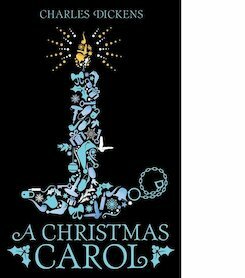 Dickens is a master storyteller and this is a brilliant and accessible classic for teenagers to get their teeth stuck into. 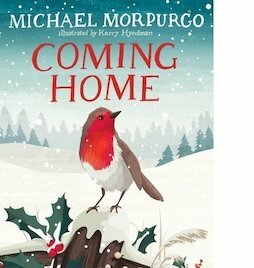 This version with a beautiful cover is sure to be a hit in any book lover’s stocking on Christmas morning – and at £2.99 it won’t empty Santa’s wallet! 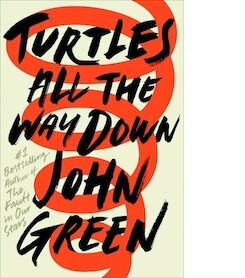 John Green, bestselling author of The Fault in Our Stars, is back with his latest teen novel! Turtles All the Way Down brilliantly deals with issues of mental health and is impossible to put down. This brand new hardback is available from the Scholastic shop for just £9.99, saving you £5. Perfect for a teenage bookworm’s stocking! Please note this is a 14+ title due to some mature language and strong themes of mental illness and anxiety.